High-resolution audio (HRA) has emerged as arguably the ultimate sonic selection for digital music fans, but what’s it all about, what do you need and how can you get it? 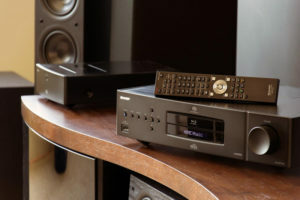 In the last couple of years, high-resolution audio (HRA) has hit the mainstream sound recording and distribution, due to the release of more devices and services that support the new format. From dedicated devices like Neil Young’s PonoPlayer and the latest Sony Walkmans, to games consoles like the Play Station 4, smartphones like the Sony Xperia Z5 it seems everyone’s is joining this movement towards taking of the sound recording industry to the next level of quality. The use of AAC or MP3 compression leads to partial data loss in the encoding process, which means resolution is sacrificed for the sake of convenience and smaller file sizes. With regards to sound quality, then, these formats aren’t telling the full story of our favourite songs. This might be fine on the bus when you’re listening to your smartphone, but serious music fans should want better. This is where high-resolution audio – or HRA, the term coined by the Consumer Electronics Association – steps in. 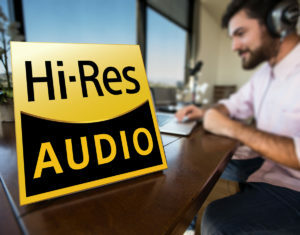 Astell & Kern, LG, Samsung, Sony and Pioneer are just some of the companies to have launched hi-res audio compatible products, while several download sites now offer. HRA also has the support of major labels and musicians. But the term tends to refer to audio that has a higher sampling frequency. High-resolution audio files usually use a sampling frequency of 96kHz or 192kHz at 24-bit, but you can also have 88.2kHz and 176.4kHz files too. Obviously the main claimed benefit of high-resolution audio files is superior sound quality over compressed audio formats. To illustrate why they should sound better than MP3s, for example, let’s compare the relative bitrates. The highest quality MP3 has a bitrate of 320kbps, whereas a 24-bit/192kHz file is transferred at a rate of 9216kbps. At Falcon Technologies International we firmly believe in the core brand values that our brand is build on, and one of them is Quality. 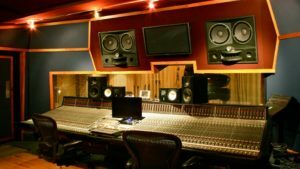 High resolution audio format development is very important step for overall music industry, that is currently taking the entire market to the next level. As a company that have been continuously making efforts to improve the quality of our products, we understand the importance and praise development of such initiatives as high resolution audio standardization and introduction to the mass market. Falcon Technologies International has specially designed product line to provide quality media storage for professional duplication and replication – DUPLI Line. 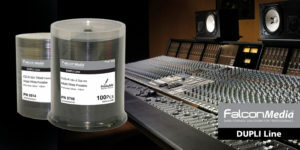 It performs to good quality level with benchmark and quality control tests proving that Dupli Line products have one of the lowest variability rates throughout the industry, which makes them a perfect solution for media duplication. Also, DUPLI Line comes with a no failure guarantee, so that media distributors can be sure that the end consumer will be able to enjoy the high quality media from a high quality storage medium.